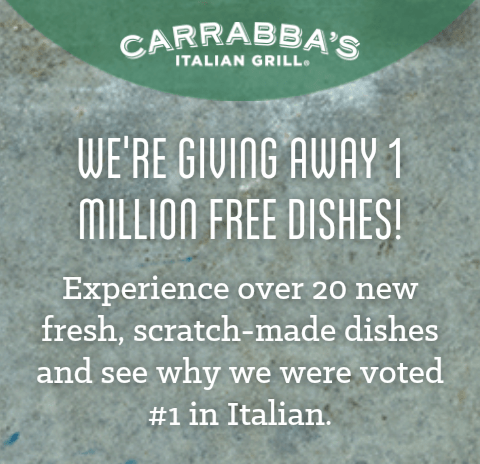 CARRABBAS IS GIVING AWAY 1 MILLION FREE DISHES! Experience over 20 new fresh, scratch-made dishes. Use the link below to Sign up below to claim your FREE dish!